AVAIL MAY 1ST/15TH. 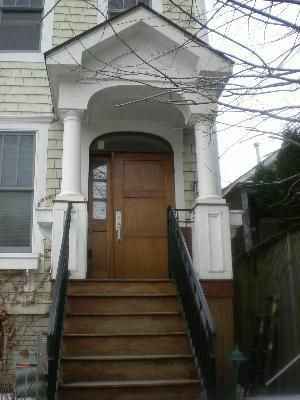 Fantastic location- 2BR/1BA duplex up coach house in owner occupied building. High-end finishes include granite counters, cherry cab, Stainless steel appl. 2nd bdrm is perfect for kids + office space upstairs. Beautiful shared patio space outdoors. In-unit washer dryer, hdwd flrs, central heat and air, deluxe bathrm. One block to red-line el stop.